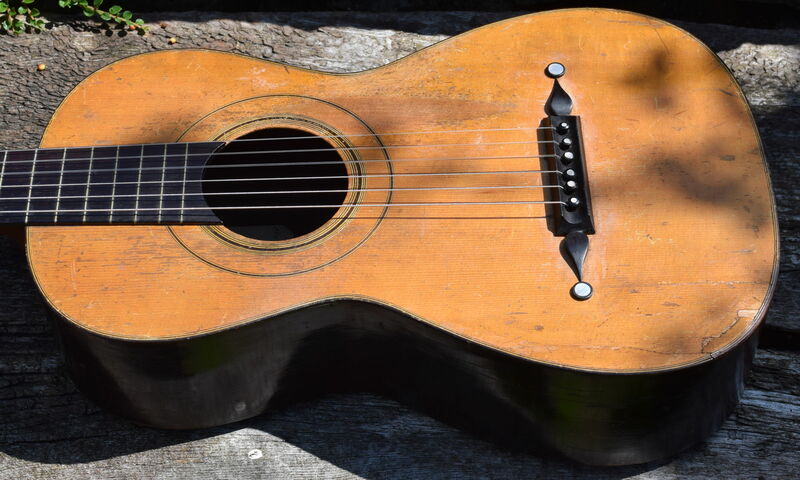 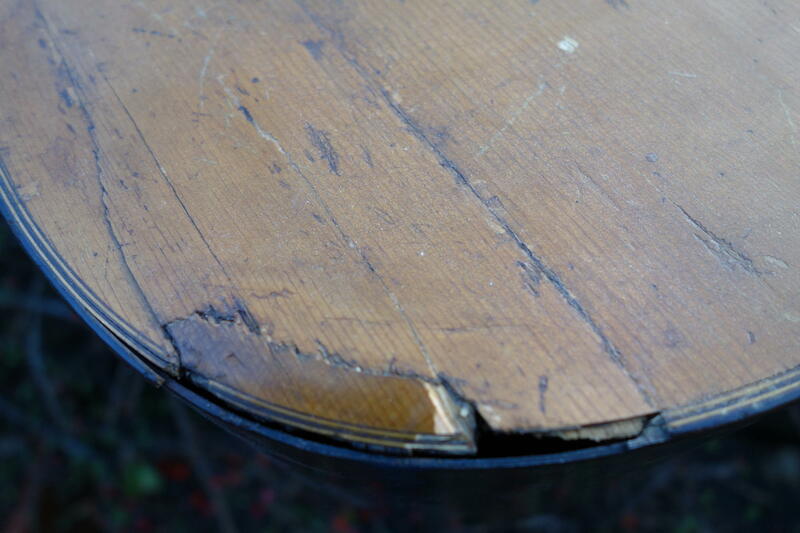 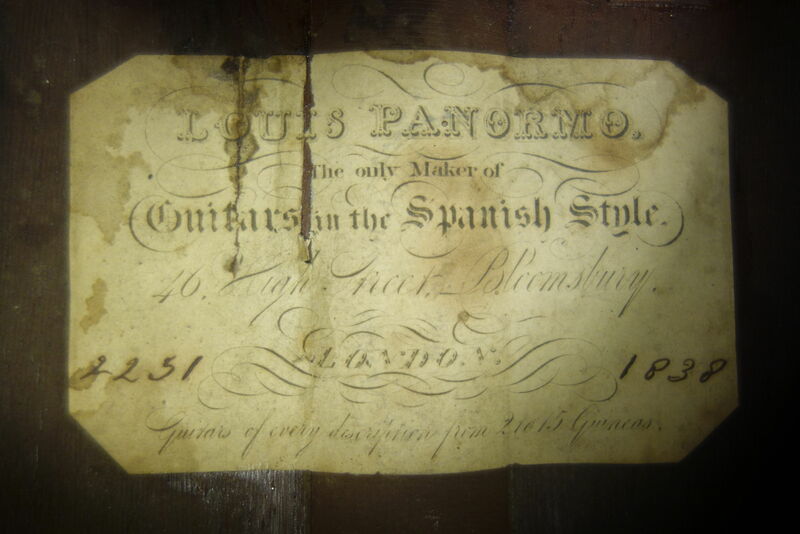 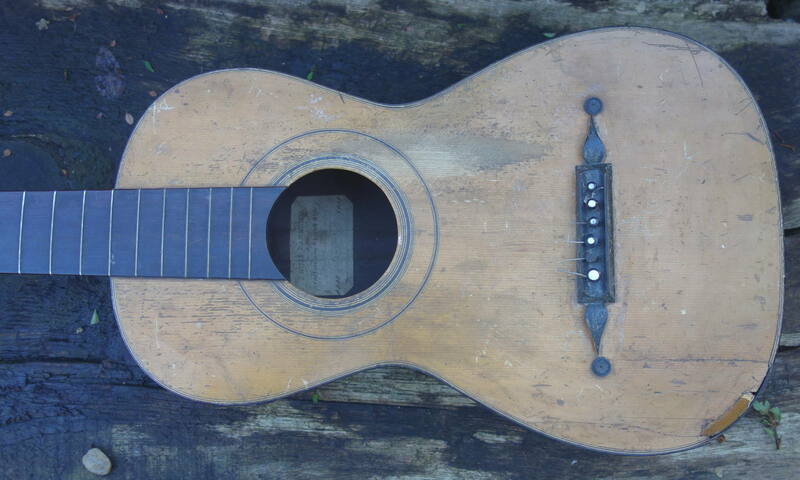 Despite the extraordinary image of the bridge slowly coming unstuck, this guitar is in rather good condition. 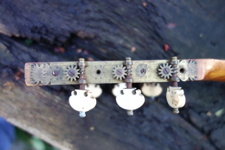 The raising of the bridge shows that 179 years ago, this bridge was made in one piece, with the exception of the ebony discs (which here, have lost their round mother-of-pearl insets). 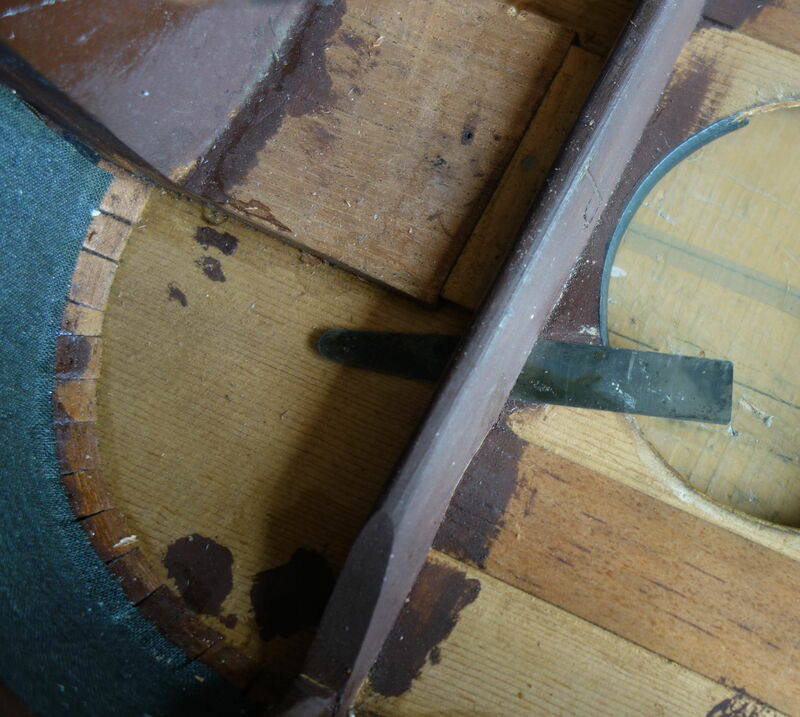 The bridge was easily removed by cutting the glue strands with a sharp knife. The glue proved very difficult to remove and I have no idea what type of glue this was. 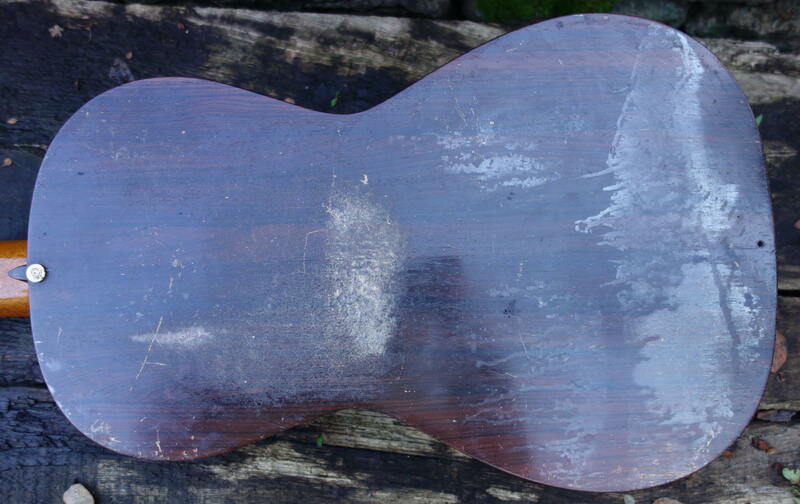 The soundboard needs a clean and there is one damaged area at the bottom right of the photo. 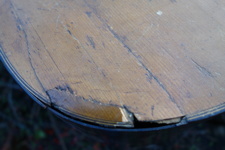 Fortunately almost all of the original wood has been preserved. 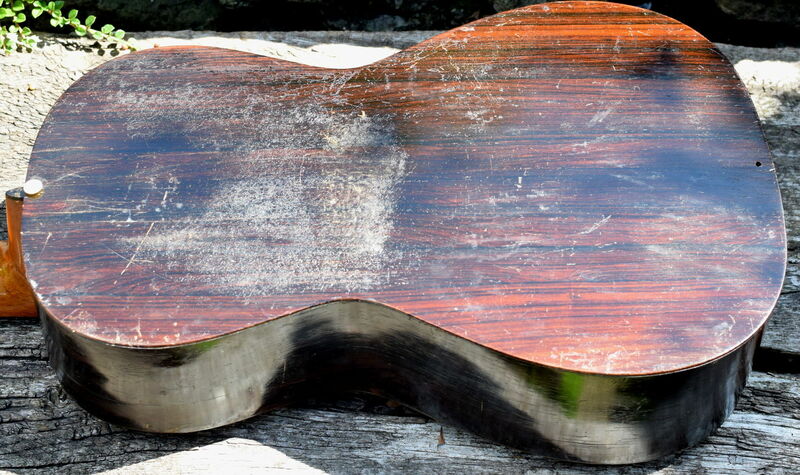 The varnish on the back is in very poor condition and I am not certain it can be made much better. 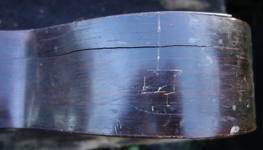 Cracks in the rosewood sides need to be closed and reinforced. 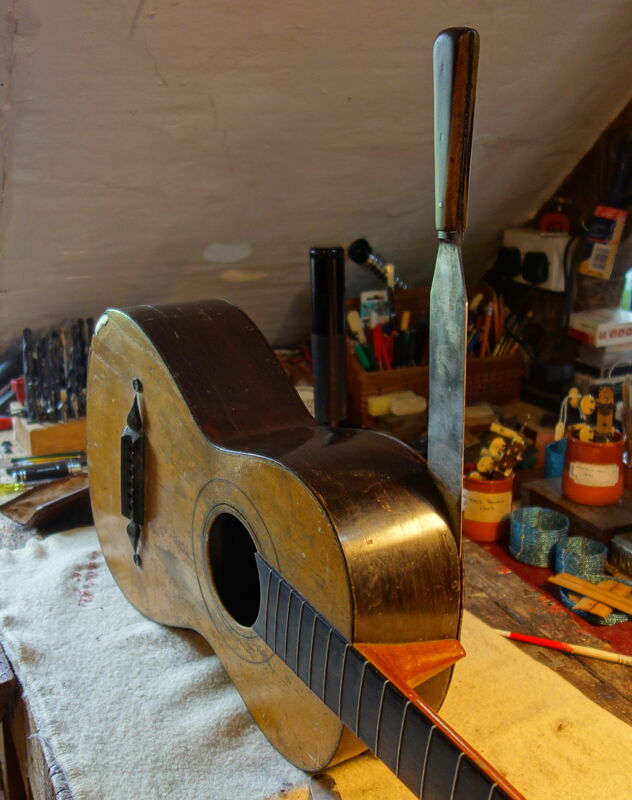 The neck, fingerboard, head and Baker tuning machines are all in need of cleaning but are in excellent condition. 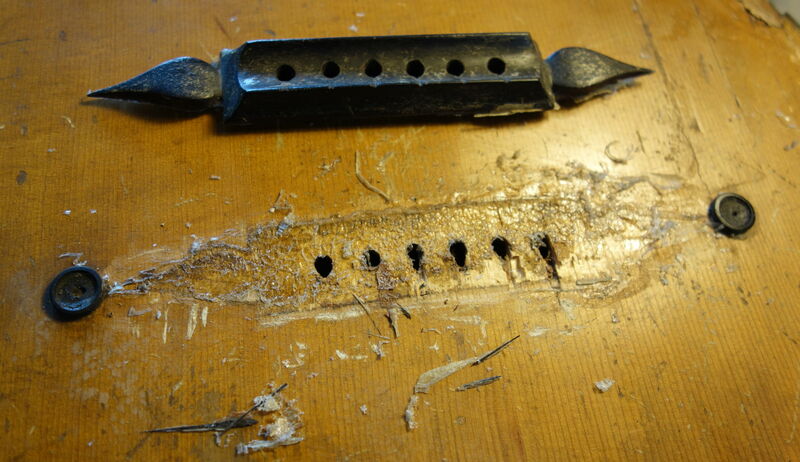 Removing the back, fingerboard freed of the terrible glue and the wonderful cleaned Baker machine heads. 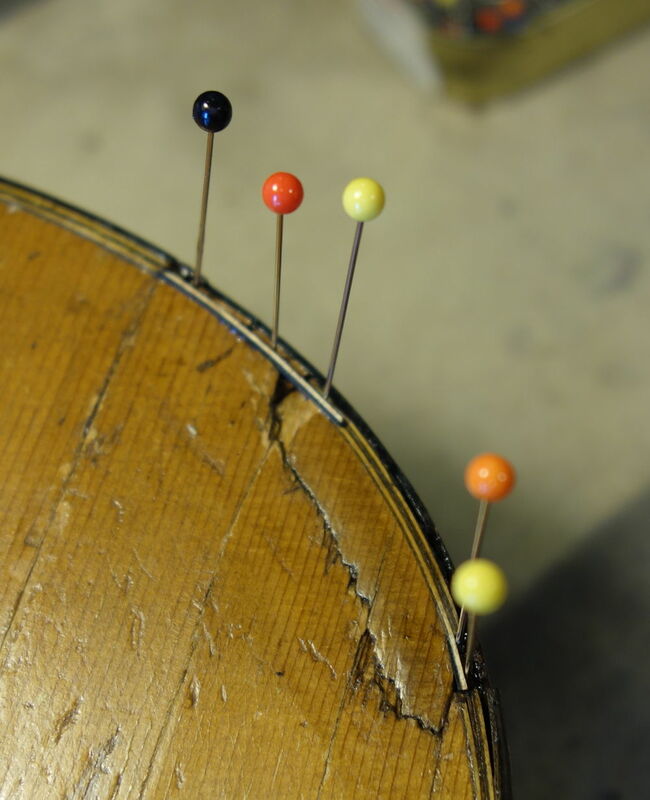 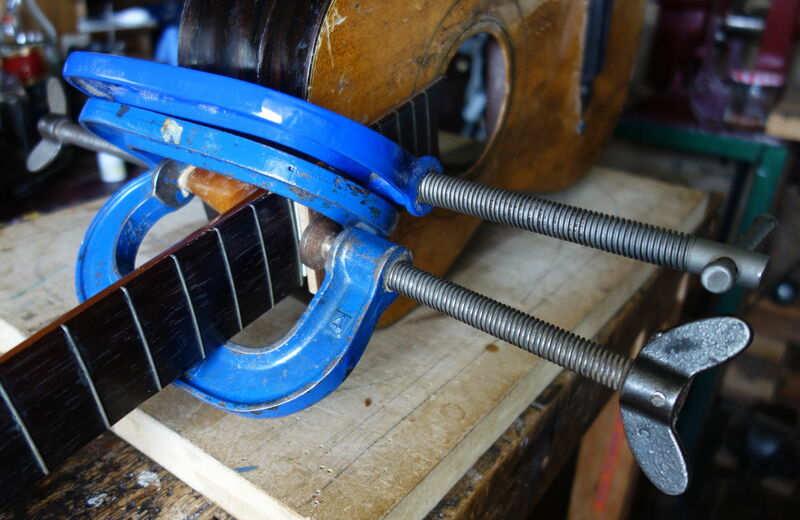 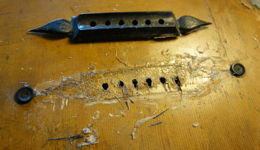 Re-glueing the bridge, showing loose bars on the soundboard, glueing up the cracked front block and beginning to replace decoration near the replaced piece of soundboard.